Many ancient cultures had built pyramids or pyramid-like structures.There are large pyramids in South America, Egypt, China, and some smaller ones in Greece, North America, the Canary Islands and Indonesia. The construction of these monuments had involved very big and very heavy blocks of stones, which would have required extreme skill and energy to produce and to transport. The seamless and smooth finish of these stone made constructions including the ancient constructions in Sri Lanka would have required a precision and skill beyond mere human capability. Many wonder as to why blocks as heavy as many tons were used if not for a specific reason. Also, in Egypt, Peru, Sri Lanka and Easter Island, there are certain walls which are consisting of very heavy interlocking stone blocks of various sizes, seamlessly pieced together like a puzzle, and without the use of composite building material. Like the great stupas of Sri Lanka these giant constructions were also believed to be enshrining the remains of the Kings and leaders yet many had proved this theory false. 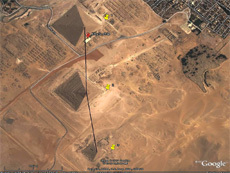 While some pyramids in South Americas were use as tombs they had also served a purpose more complex than a mere a mausoleum while pyramids in Giza, Egypt were never used as tombs. For centuries Sri Lankans too believed the ancient great Stupas to be mere objects of worship enshrining the remains of Lord Buddha and the arhants or the enlightened ones. Likewise their alignment with the stars above is a common phenomenon shared by many of these megaliths. 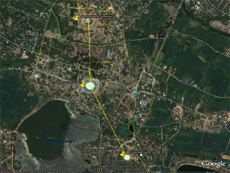 Pyramids in Egypt and Mexico, the three great stupas of Anuradhapura and Angkor Wat in Cambodia, seem to be coordinated to specific star constellations. 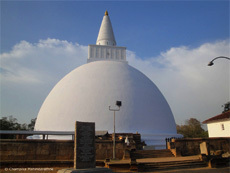 The three great stupas of Anuradhapura; Mirisavatiya, Ruvanweliya and Jetavanaya perfectly aligns with the three stars in the constellation of Orion, namely Rigel, Al Nitak and Bellatrix. The three sides of the triangle in the ground layout of the three stupas, built between 161 B.C. 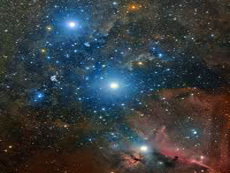 and A.D. 331, correlates precisely with the three sides of the triangle of three stars on the right-hand wing of the constellation of Orion creating heaven-earth duplication. Meanwhile Angkor Wat of Cambodia,the largest Hindu temple complex and the largest religious monument in the world, built in the 12th century, is believed to be part of a representation of the constellation Draco. These earth and celestial duplications and their advanced building techniques had intrigued researchers and archaeologists for generations but the present investigators are nowhere near to deciphering the secrets behind these mega structures. Yet recent discoveries in Sri Lanka have revealed that Ruwanweliseya of Anuradhapura could have been a giant energy storing device, which also could have exchanged energies with the skies above. 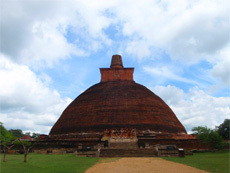 According to a multi-disciplinary investigation conducted by Architect ShereenAmendra, the structure of the Ruwanweliseya, known as the Mahastupa, its position and the material used for the construction were instrumental in creating a giant size capacitor which exchanged electric charges with the heavens above. 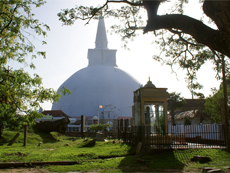 According to the Mahavamsa, the great chronicles of Sri Lanka the choice of ground for the construction of MahaStupa had been done by Lord Buddha himself while the structural plan for the stupa had been done by the Arhants or the enlightened ones of the MahaVihara. The stupa, which enshrines a large amount of relics of Lord Buddha, had been constructed using precious metals like silver and gold and precious stones, known to be excellent electricity conductors. In her book ‘Beyond the seeing eye: the Mahathupa of Lanka Ms. Amendra questions whether the mahathupa was used to transform thoughts to electric power and transmit them to the celestials while receiving messages from them. A device designed by enlightened arhants beyond the understanding of mere mortals, yet still transmitting the thoughts and aspirations of many devotes who gather around it in prayer.